Honor as a brand is mass centric and taps the low-cost segment in the Android market. It has all the features that any user would ever need in the price segment it fits. Since we all know that a price segment attracts a few features that should be a mandate and some features that are an icing on the cake. Honor knows it well to play its cards right. In almost all, it models it has given over and above feature to its users. The same is the case with Honor 7A. It has given a great attraction to its current and potential users which are keeping the ball rolling for the company. 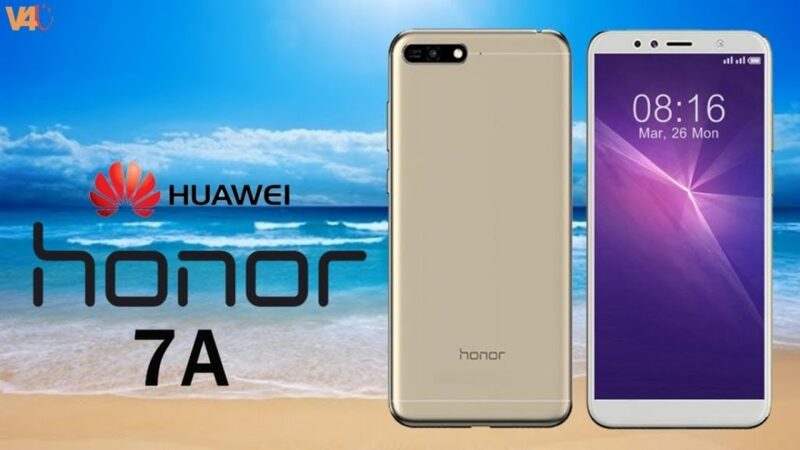 Honor 7A is a budget smartphone-level smartphone which is making a lot of noise in the Android market since it has been launched. Despite its budget, it is offering a fingerprint scanner along with a face detection which is not available in almost all brands and starts with a high segment budget. This phone has replaced the 6A and the budget smartphone is all revamped to know the potential customers and get them in this league. The display is a good 5.7-inch screen which is huge as per the price range. The HD display and Snapdragon 430 chipset are all set to make the competitors a run for their money. Unlike other smartphones, the RAM is set at 2 GB which is low as compared to the competitors but this is a great buy for people who wish to buy a smartphone at a cheap rate. The storage is at 16 GB internal along with a microSD slot to expand the storage if required. The camera is always an attraction in any smartphone and this is also a highlight for Honor 7A. The rear camera is 13 megapixels and the front one is at 8 megapixels. It gives a great camera quality output which is always satisfactory for the budget you have for a smartphone. The makers have not given a second thought about offering the latest Android version i.e. Oreo 8.0. It has the best and the most advanced features of Android platform and is a delight for all the users who own it in the smartphones. The Honor 7A is priced at approx. £140 in the UK. The market for 7C is all set but the 7A will have a completely different user base and is easily available at all leading stores. You can also book it online at the official website for Honor. There is no update if the same would be launched in any other market but as and when the pages unfold an update will be provided on the website. The feel of the smartphone is solid despite the make being in plastic form. This clearly depicts that the phone belongs to the low-cost segment. This is also a point for it to be light in weight and can be carried easily. But it becomes fragile as well with plastic being in the picture. The fingerprint scanner is set on the rear side and is easy to access. The audio jack is at the top and would be a grace to all those who still listen to their audio with a plug and play option. The speaker is one but would go up to 88 db which is high as compared to other phones. The micro USB port is also at the bottom to give the right kind of charging and USB accessibility.